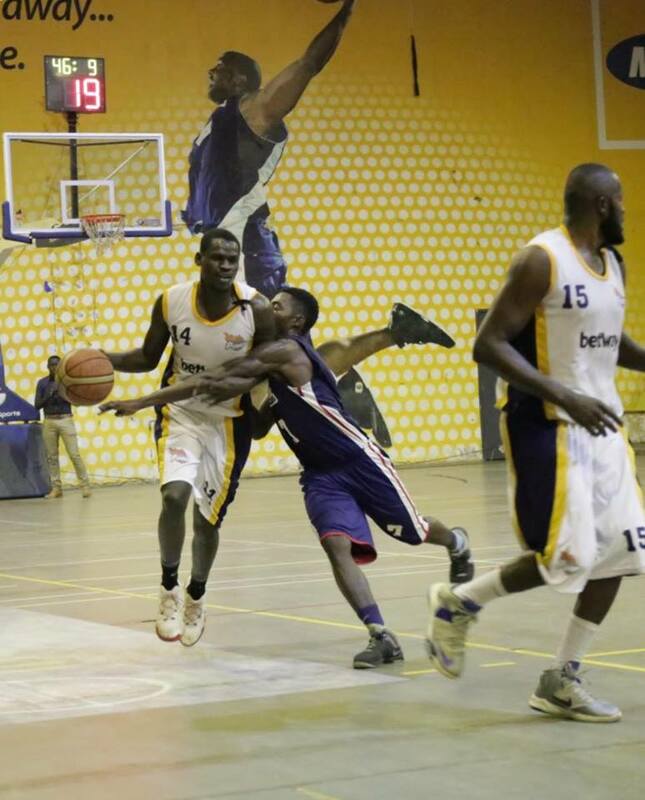 BetWay Power over came a seven point first half deficit to defeat UCU Canons 69-60 in the National Basketball League at Lugogo Indoor Stadium on Friday night. On a day that Power came in as over whelming favorites, they were checked back to reality as they trailed 27-36 to Nicholas Natuhereza’s side at half time. Power came out of the blocks strongly as David Opolot registered the first points of the game off a lay-up and the difference was soon 4-0 as the 22 year old connected cleanly with the basket off a jump shot. Power’s Fahmy Ssebatindire (left) shrugs off competition for the ball by a UCU player on Friday. David Deng grabbed the Canons first points on the night with a lay-up of his own. Deng scored two more points with Titus Lual and substitute Isaiah Ater throwing down a three point each as the Canons took the first quarter 18-13. Natuhereza’s charges continued where they left off in the second quarter, winning it 18-14 with Ater throwing down two more threes. The turn of events happened in the third as Power ran riot to win it 29-16 and they never looked back till the final buzzer. Victory moved Power’s unbeaten start to the season to 7-0 while UCU Canons reduced to 2-6 with their third loss on the MTN Arena court. With just over two minutes to play in the third quarter, Power trailing 44-47, center Philip Ameny sucked in UCU’s defense leaving Mike Madol wide open in the corner. Joseph Ikong threaded a pass to the former Canon who connected to bring the game level. Madol made a lay-up on the next possession to put his side in the lead and Power closed out the period with their noses in front (56-52). Nicholas Natuhereza’s men played catch-up in the fourth quarter and came as close as 60-62 with just over 3 minutes to play on David Deng’s dunk but three consecutive turnovers from shooting guard Isaiah Ater proved costly as Ikong hit a huge 3-pointer followed by a lay-up and dunk by Madol to settle the game. Madol and Ameny paced the victors with 15 points apiece, Geoffrey Soro added 11 points while David Opolot chipped in with 9 points. Deng scored game high 18 points and grabbed 14 rebounds in a losing effort and so were Fadhili Chuma’s 15 points and 9 boards. In the women’s division, A1 Challenge shocked UCU Lady Canons 62-61 behind Susan Amito’s game-high 21 points. 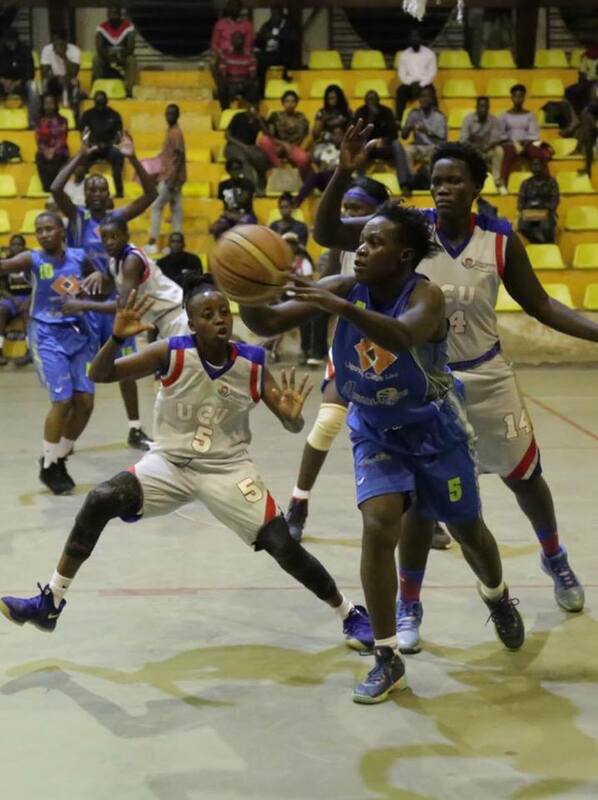 In the other game played on the night, A1 Challenge held their nerve to beat UCU Lady Canons 62-61 in the National Basketball League at Lugogo Indoor Stadium on Friday. UCU Lady Canons (in silver) lost their second consecutive game at the hands of A1 challenge (in blue). Lady Canons controlled the opening quarter 17-12 with forward Zainah Lokwameri scoring 9 points. Stella Nikuze and Susan Amito quickly wiped out the deficit and put A1 Challenge ahead during an explosive second quarter in which they outscored the defending champions 21-12. Point guard Ruth Kirungi took charge for A1 (3-1) early in the third quarter to drag her team’s lead to double figures with a couple of lay-ups, a gap they maintained through to the fourth quarter. Through center Vilma Achieng, Lady Canons (2-2) staged a comeback in the fourth quarter but fell short to suffer their second consecutive defeat having lost to JKL Lady Dolphins in their previous game. Susan Amito scored game high 21 points to pace A1 Challenge, Stella Nikuze added 10 points while Kirungi scored 7 points and Stella Nanfuka picked game high 14 rebounds. Achieng matched game high 21 points with 16 points coming in the fourth quarter to lead UCU, Lowemeri added 10 points. 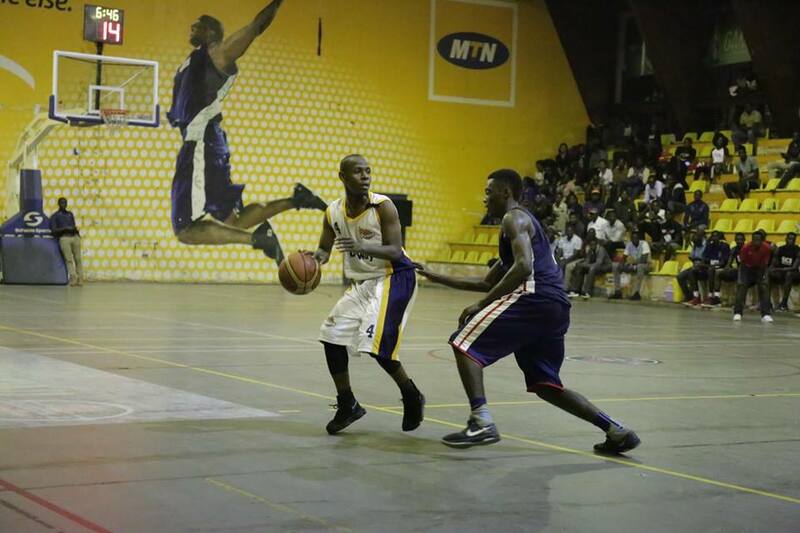 Action returns on Saturday with six game, one of which will see Pemba Warriors take on our Savior at 8:30pm.